Website maintenance if your first line of defense against bad bots and hackers. No matter what platform you decide to host with, there is always the risk that it can become compromised with malware, adware or a destructive virus. WordPress is a particularly complex platform that requires regular website maintenance to keep your site safe. A new virus could be unleashed any day and if your site is not up to date, you could experience prolonged downtime or in the worst case, a complete loss of data. Our maintenance services keep your site and plugins up to date with the latest security patches. We regularly update packages to the latest versions and watch for hook conflicts. We also perform incremental backups of files and databases and work continuously to improve security, reduce spam email and spammy web forms. There is nothing worse than seeing your page show up like this is Google search. Nothing is worse than discovering you site has become sick with a virus. 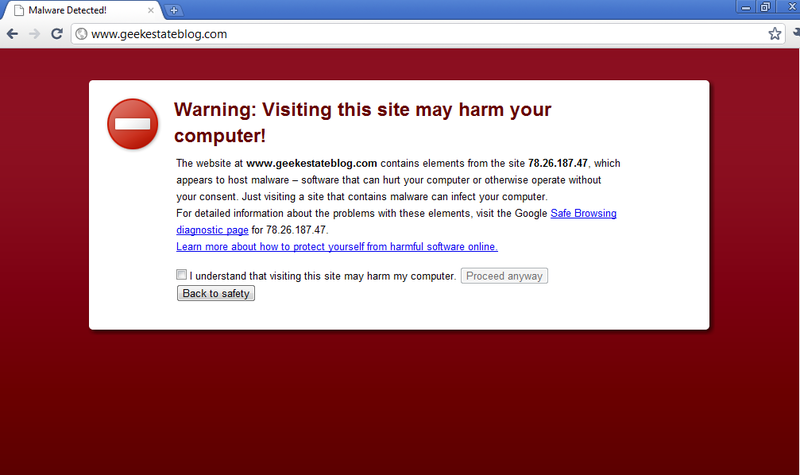 The worst indication is when Google’s own search page displays a big red banner claiming your site is infected. What do you do? Call Us, we’ll be happy to take a look and investigate the infection and find a fast solution. We can optionally include an appropriate amount of administration time in your hosting fees to cover these administrative maintenance tasks. Our ongoing annual site maintenance service is equivalent to about 40 hours per year. Annual Maintenance package is $1000 ($500 for a limited time), billed annually.